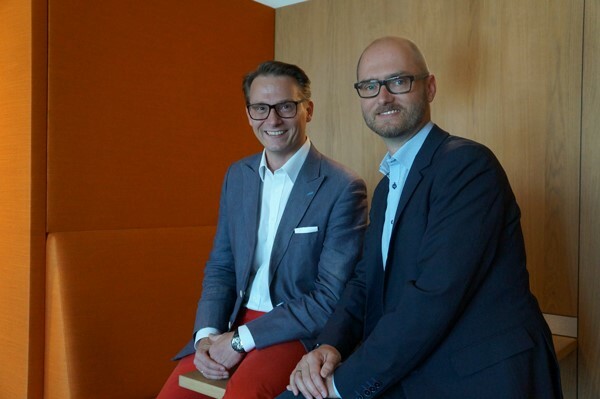 Paul Haberfellner (Nagarro) left., Werner Huss (Automic) right. In early 2015, Werner Huss, Senior Director of IT and business automation specialist at Automic, came to a decision that had a far-reaching impact. After a major acquisition, he proposed that all processes had to be standardised, checked, and re-implemented. This meant a 360° CRM implementation was required. Software expert Nagarro came on board and became their sparring partner in this initiative. It all began with a request from Automic’s Global Support Team. After the takeover, there were initially several separate global support organisations. A major consolidation was required in order to raise the support standard of around 2600 business customers to enable a seamless collaborative process. For Werner Huss, partial or interim CRM solutions were out of the question for a good reason - Automic offers a proven, first-rate business automation product portfolio. Moreover, Automic products are company-specific and consistent. “It’s a given that virtually all employees are in contact with customers and jointly work together on the respective best solution for our customers.”, says Werner Huss. Therefore, the IT Manager reassessed the tool landscape and developed a sophisticated 360° customer view strategy that encompassed all steps, from marketing to sales and order management to post-sales support. At the time, within the Automic Group, Salesforce was only being utilized as a sales tool. However, previous investments called for an expanded solution. When fully deployed, Salesforce can display countless main and sub processes. Furthermore, in terms of migration, Salesforce is much more attractive compared to other support systems. However, Salesforce is not a plug and play tool, as highlighted by Werner Huss, "During our initial launch, we experienced some teething problems with our first partner. From this point, we knew that this sophisticated international transformation project had no use for software-cowboys or rigid developers." Automic's initial plan was to seek an implementation partner able to perform engineering tasks under the guidance of Automic experts. Nagarro, whose software expertise and offshore resources are well known, was then invited to submit a proposal. The first positive response was received even before Nagarro was awarded the contract. "Nagarro presented us with a complete documentation and system description, including an analysis and detailed processing proposals. Thus, we found a partner who not only had professional expertise, but also matched the Automic culture – an essential component to the project’s success." Werner Huss recalls. Nagarro received the extended order to assist Automic with process development, project management, and transfer of ITIL support processes to the new target system in Salesforce ServiceCloud. Who can provide cutting-edge knowledge and information? Nagarro is committed to the 360° Customer View IT Strategy. The first goal is to gain a complete and clear view of all relevant customer data beginning with first contact. The process begins with marketing, e.g. through contact at industry events or social networks, followed by proposed options catering to the customer’s needs. This encompasses the entire sales process, from the offer to ordering, and subsequently runs through fulfilment along with license management. Thanks to the ServiceCloud project, this sophisticated support apparatus for customers is integrated into the process as well. Consequently, end-to-end data collection, evaluations, analyses, and an overall view of the requirements of various departments are possible. Paul Haberfellner, CEO of Nagarro Austria was immediately impressed, "Automic’s work is extremely customer-centric with a seamless CRM process that provides incredible benefits. The consequent solution dynamics and the focus displayed across the enterprise by Werner Huss and his team was impressive." Nagarro experts were inspired by the strategy and together with the globally distributed Automic project managers, they formed a capable project team. By June 2015, 14 people in France, Canada, Austria, India and Vietnam were working on the Automic 360° CRM project. For its part, Nagarro assembled a team of highly-skilled multidisciplinary experts, who were well-versed in both Salesforce and license management, as well as areas of customer domain, technical project management, technical consulting, and software development. A bimodal approach that guaranteed both stability and software development was chosen. "As agile software development specialists, we are accustomed to shooting at moving targets, while taking responsibility for system integrity. ", explains Paul Haberfellner. "cultural fit" that transcends international borders.. It took a total of 12 months to jointly plan and test the processes step-by-step, to tighten them with the relevant departments and ultimately transfer them to the new cloud platform. The ‘nocturnal labour offensives’ during system changeover - typical to such migrations, were experienced here as well. "We originally set out to implement the project in early 2017. That way we would actually finish six months early. If we hadn’t found the cultural fit with Nagarro, this would have been an absolute impossibility." Werner Huss happily reported. With a relatively small integration effort, he was able to significantly increase the implementation rate of financial requirements within the group. Furthermore, with the newly-integrated CRM and support solution, the TCO was considerably reduced. Automic will keep an eye out for further transformation projects they can do with Nagarro given that our successful collaboration has made room for new ideas. Automic is the leader in Business Automation. It helps businesses gain a competitive advantage by automating their IT infrastructures –from applications that run in their own data centre to cloud services; from Big Data solutions to the Internet of Things. Automic has offices worldwide and supports more than 2,600 customers, including Bosch, Netflix, eBay, AMC Theaters, Carphone Warehouse, ExxonMobil, BT Global Services, Société Générale, NHS SBS, General Electric, and Swisscom. Automic is owned by EQT. For further information, visit www.automic.com. Nagarro is an IT specialist provider of software development and management services. Nagarro’s “Enterprise Agile” approach to enterprise environments, structures, and processes, enables its customers to establish themselves and expand their businesses in various markets. International companies, such as Lufthansa, Siemens, GE Aviation and KTM, as well as local market leaders, including FORCAM, Heinzel and the Austrian Federal Railways, cooperate with Nagarro to gain a competitive advantage. As the global software services unit of the Allgeier Group (Frankfurt Stock Exchange AEIN), Nagarro employs over 3500 experts within ten countries worldwide and operates within a global network of partners. The Austrian subsidiary Nagarro GmbH employs around 60 people in Vienna who provide a holistic range of services for cloud technologies and software and transformation projects. The managing directors are Damianos Soumelidis, Paul Haberfellner and Thomas Riedl.